UPDATE : In early 2015, a new version of this camera was announced, the Transcend Drive Pro 220 which supports GPS and GLONASS. Scroll down for a list of main differences and links to vendors. 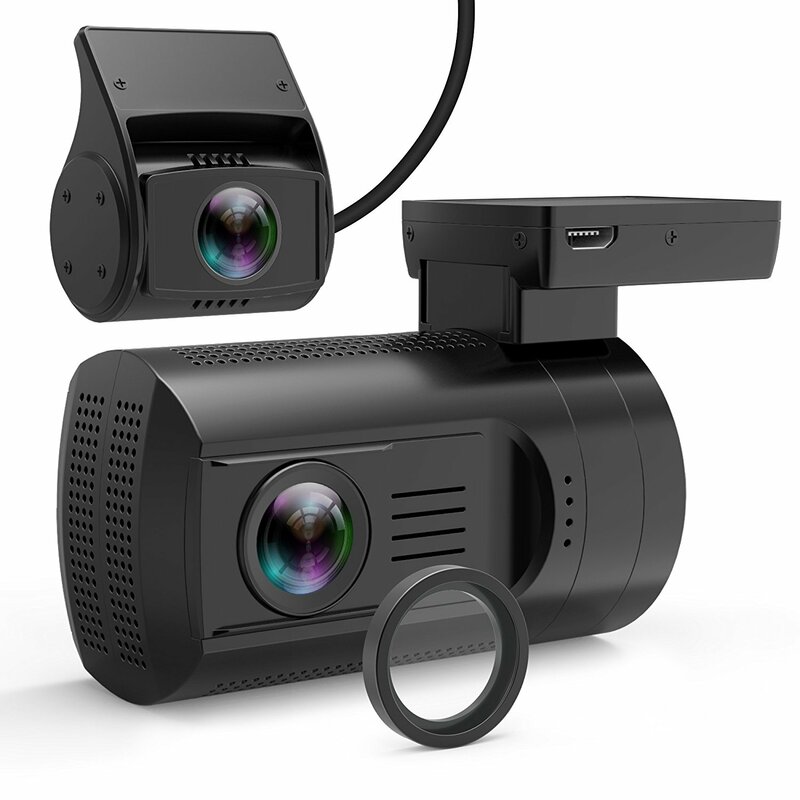 The DrivePro 200, also known as TS16GDP200, is a reliable, easy-to-use dash cam that was released in late 2013 by the renowned Taiwanese memory card manufacturer, Transcend. They include a free 16GB SD card with the device. At a bit rate of 15 Mbps, this camera records excellent day time video, and night video quality is also good. It is becoming increasingly popular due to its high reliability, its Wi-Fi capability and because it is relatively easy to use. This camera is one of the very few to offer Wi-Fi support. At 160 degrees, its angle of view is larger than most other dash cam’s. It comes with a 2.4” screen for comfortable video playback, or you can configure it from your tablet/smart phone via the Wi-Fi function. Many buyers will be happy to know that configuring the DrivePro 200 is a breeze, even for the technically challenged. After connecting it your car’s cigarette lighter for power, it will come on by itself, prompt you for the time and date (on first time setup) and then start recording automatically whenever your car’s ignition is on. It comes with a G-sensor so your video files will be saved if a sudden breaking maneuver or impact is detected. It also has a large emergency button that you can use to the same effect for any footage that you would like to keep for whatever reason. You can choose whether you wish to record video clips 1, 3, or 5 minutes in length. We prefer 1 minute clips because they are more manageable. Recording is seamless, there are no gaps between the video files. The Wi-Fi function is useful for changing the camera’s settings, and you can also use it to update the device’s firmware should this become necessary. You can even use it to view your video footage, but bear in mind that these are large video files, so transferring them wirelessly will be relatively slow. Plucking your SD card into a computer is the easier option, or just use the camera’s internal screen. The Transcend DrivePro 200 is not one of the smallest dashboard cameras, but it isn’t terribly large, either. There is a narrow silver ring around the lens that reduces its stealth somewhat. We would have preferred an all black casing. All the regular dash cam features are there, such as auto on/off, loop recording, impact detection (G-sensor) and date/time stamp on video. A word of caution though: Several users have reported an issue with the camera not being able to keep the date/time settings for more than a couple of days when it is not in use. This is apparently due to the camera using a relatively low power capacitor instead of an internal battery. However, there are also many users who do not seem to be having this issue at all. The camera’s build quality is solid, and even taking into account the date/time issue, customer feedback is overwhelmingly positive. Furthermore, Transcend’s after sales support have been reported to be very helpful and respond quickly when needed.